Hi! 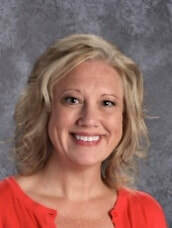 My name is Mrs. Becky Ackermann, and I am the library media director for the LCASD. 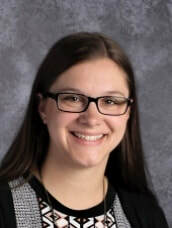 I started my education career as a Business & Information Technology Teacher and also served in the role of Tech Coach and Tech Director prior to the library media position here in Little Chute. I am a native of Crivitz ("up north") and now live in the Fox Valley with my husband and four children. Books - "Wonder" and "Five Minutes' Peace"
Sports team - Go Pack! Books - How to pick just one!? Hello! 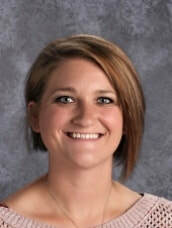 My name is Mrs. Holly Petkovsek, and I am the library instructor for Little Chute Elementary. I started out as the library assistant and am so excited to be able to continue my roll in the library as the instructor. I have had a life long love of books and it's so wonderful to work doing something I enjoy and with students that make me smile. I am a native of Central Wisconsin and now live in Appleton. I have 2 amazing teenage boys that keep me busy. For fun, I work part-time as a receptionist in a salon. Never a dull moment! Books - "Wonder", "To Kill a Mocking Bird", "Chrysanthemum"
Hobbies - reading, crafting, yoga, binge watching a great series and spending time with my boys. Season - Summer, hands down! B4 and Kindergarten students can get one book per week due the next week. 1st and 2nd grade students can get two books per week due the next week. 3rd and 4th grade students can get two books per week due in two weeks. If students have overdue books, they cannot checkout until their overdue book(s) are returned. Students with overdue materials will receive a pink reminder slip. If materials become damaged or lost, we charge a replacement fee. If the materials are later found and returned, this money is refunded. Kindergarten and 1st grade have (2) 30 minute classes each week. 2nd, 3rd and 4th grade have (1) 30 minute class each week.